On a tight budget? The FireKing Patriot is the best choice for you! 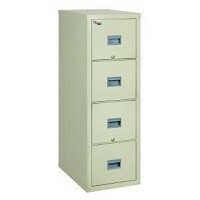 This UL 1 hour rated fireproof file cabinet is big on security and document protection. Made in the USA. Buy American! Economically priced for today’s economy yet features FireKing's signature integrity and high quality, and has been awarded the prestigious UL class 350° one hour fire rating. 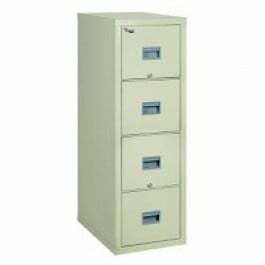 The Patriot fire file comes in two and four drawer 31" and 25" models; 25" models are equipped to file letter-sized documents front to back or legal-size documents side to side. Features include field replaceable panels, recessed handles and your choice of two popular colors: black and parchment. Backed by a manufacture's 10-year limited warranty.